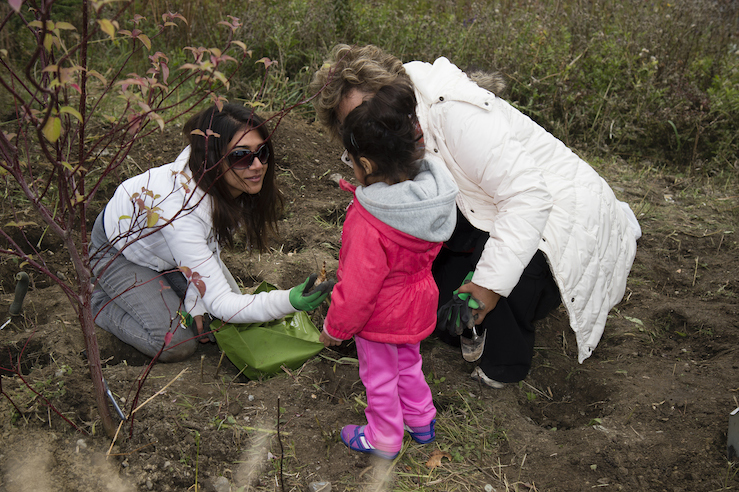 A crisp, sunny weekend in October 2015 was the perfect backdrop for 100 volunteer gardeners of all ages to participate in a planting event. 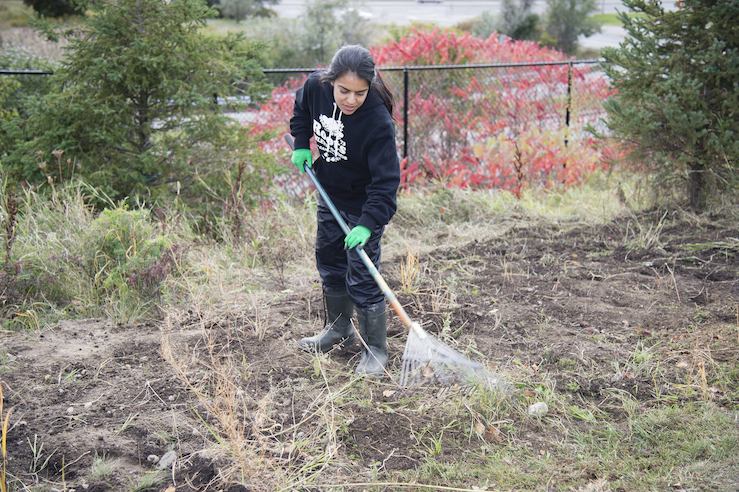 Each team of planters received a crash course in gardening by experts and fellow volunteers from Wildrose Gardening, Sheridan Nurseries and Pristine Property Maintenance. 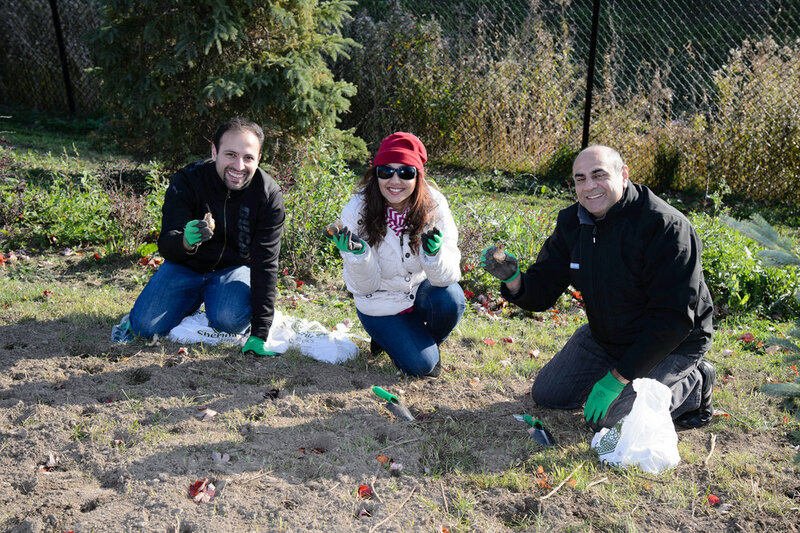 The volunteers planted 21,000 daffodil bulbs in the naturally regenerating meadow in the Aga Khan Park, including 10,000 yellow (King Alfred) and 11,000 white (Mount Hood) bulbs in colour-blocked swaths. 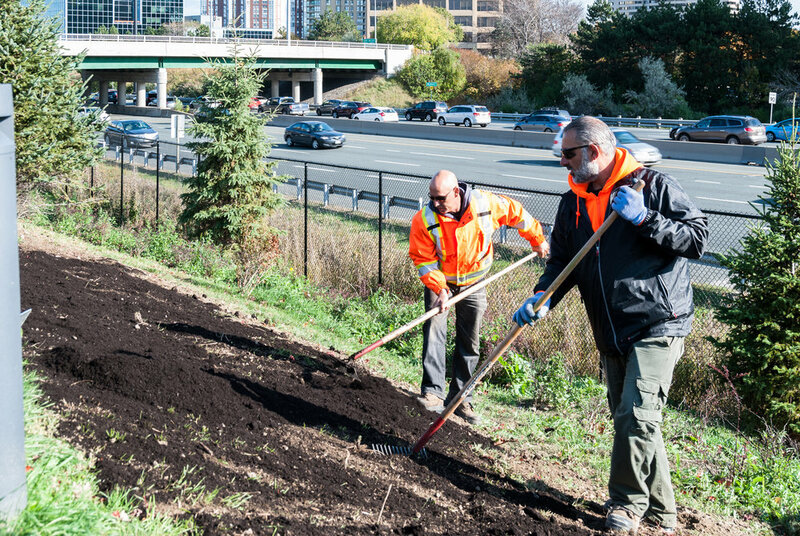 In October 2016, the Aga Khan Park Landscape Management Committee organized a second planting event where 50 volunteers planted an additional 10,000 bulbs that will bloom into five varieties of white and pink daffodils on either side of the 2015 daffodils; to extend the planting on both sides along the path (east toward Wynford Drive and west toward Eglinton Avenue East). 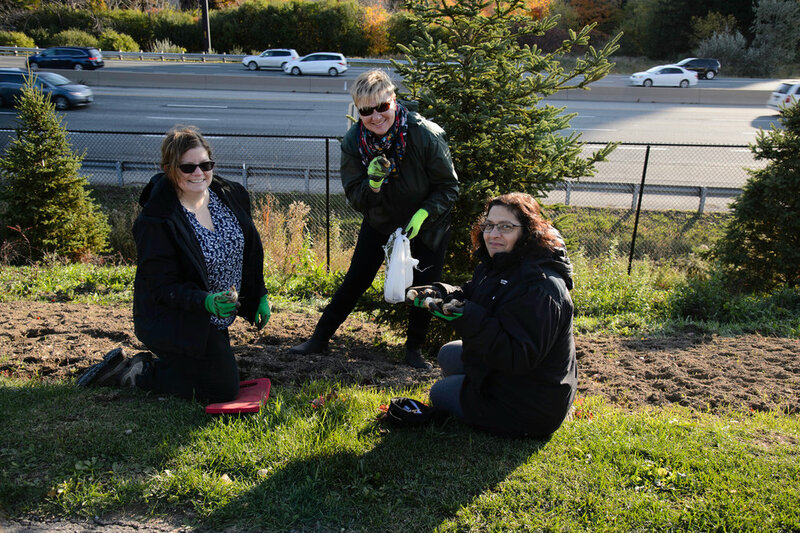 The daffodils are visible every April from the main path in the Park that connects Wynford Drive to Eglinton Ave East, and by drivers heading south on the Don Valley Parkway or west on Eglinton Ave East. Daffodils were chosen for their tendency to proliferate (versus decline, like tulips) and because squirrels are less likely to uncover them! 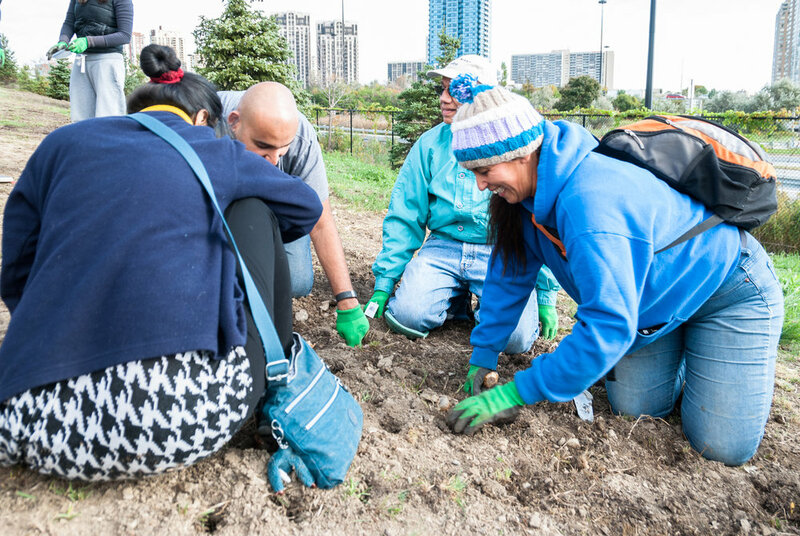 We would like to extend a special thanks to Wild Rose, Sheridan Nurseries, Pristine Property Maintenance and Toronto Botanical Gardens for sharing their time and expertise with us. Main Image by Aly Manji. Event photography by Aly Manji and Moez Visram.